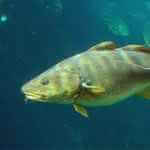 Here you’ll find all the latest news, tips and chat from the Spearfishing.co.uk dive team. Here are the BSA 2012 competition dates. We hope to see you there and good luck! I was very disheartened when winter came along – I'd been diving though the summer with some success, but I had landed nothing big. Although there were still a few bass being caught in the early months of winter, I was not experienced enough to go into these deeper waters with strong tides. So, instead, I decided to prepare myself for the upcoming summer by attempting to go out diving through the winter months. 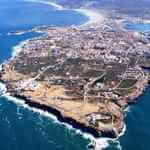 Hi All, Just a quick update from the Euro African Champs in Peniche ….. After rather a long ferry trip from Plymouth to Santander and an even longer drive from the ferry in Spain down to Portugal we finally arrived in Peniche , only to find the water temperature had just dropped off and the swell had come up . It was one of those "you should have been here yesterday" moments. We are very excited to announce that speara Hannah Naylor will be joining the team on ASI in March 2012 hunting for an elusive Women's World Record. Following on from Penny's fantastic success with two Women's World Records in August, Hannah will be looking for one of her own. Hannah has not yet decided on her gun of choice, but prime contenders will be 90-100cm guns with double 16mm rubbers and 7.5mm shaft. 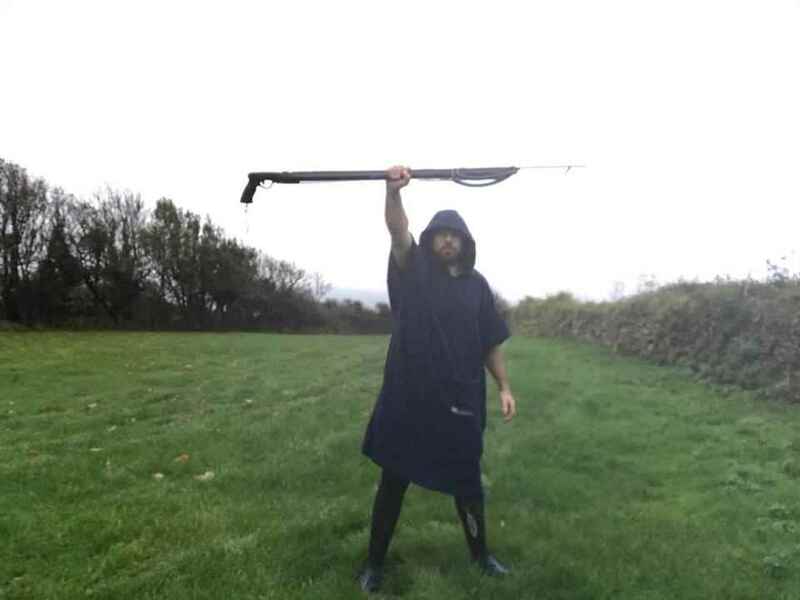 Yes, team Crystal Vis won the British Spearfishing Championships! An awesome result from Gary Roche, Kevin Daly and Colin Chester, all using Rob Allen guns. 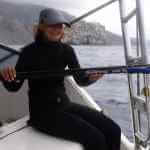 Wow - Penny has not one but TWO confirmed world records, both using the Rob Allen Scorpia speargun. Penny, I am very happy to inform you that your applications for the world record Black Jack at 10.3 kg and the Horse-eye Jack at 10.2 kg were approved by the IUSA board! November is off to a good start with 14C water. There are plenty of bream and bass off Portland Bill, and these should be around to the end of the month. 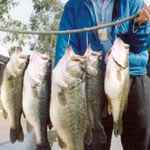 The bass may hang around into mid December with a bit of luck. We had a nice haul of bass on the Bill at the weekend, despite very bad vis. Using a short gun (80cm carbon with single 16mm band) it was possible to get a few nice fish despite the murky water. Cameron got a cracking 14 pound fish, his best of the season so far. October is one of the best months for spearfishing, with large numbers of black bream and large bass present off Portland. 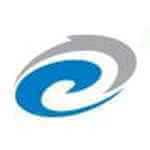 Visibility over the last few weeks has varied from 2m to 12m and we have been using guns from 80 to 140cm. 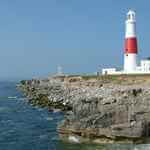 We got a good catch of bream and bass on 1st October using carbon 80, 100 and 120cm guns off Portland Bill. We celebrated my two world records last weekend in the best way I know how. By having some friends around to eat (some of) the fish I brought home from Ascension Island. 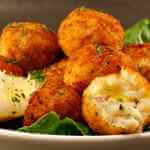 I cooked the fish in various ways, but my fish balls were so delicious, I have decided to share my recipe on the blog. Before I begin, perhaps I should explain that (i) I made this recipe up by combining a few ideas, and (ii) I am not big on specifying quantities….so make it your own, or make it at your own risk! Also, I have no idea how many I made… but don’t worry because they will be eaten. 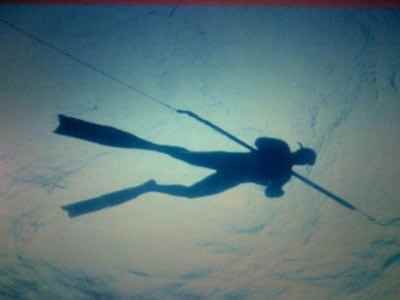 September is a key month in the UK spearfishing calendar! Firstly it has been a busy month for us, getting our website live for you, so we have not been in the water as much as we like. Titus managed to break his hand, his foot and an eardrum in Ascension so is out of the water for a bit! 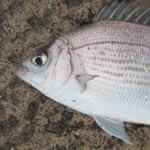 Off Portland we anticipate excellent catches of bass and bream this month, with the huge shoals of black bream likely to hang around til the end of October. 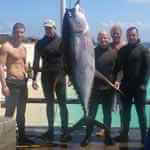 The current British spearfishing records are listed below. The current lemon sole and gilthead bream records were both landed in 2011 with Rob Allen guns.We anticipate the black bream and seabass records falling soon, given the number of sightings of 5lb black bream and 20lb bass this season. Cameron, Titus and Rory have all encountered the fabled 20lb seabass this year and confirm that they are not straightforward to catch!